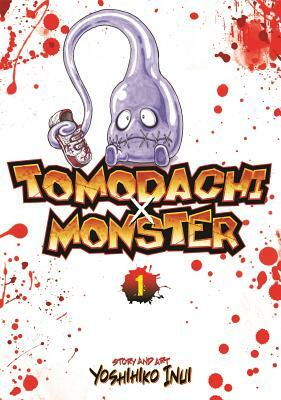 Tomodachi x Monster is a manga series that is a mash up the survival horror genre with Pokemon-style monsters who must fight each other to the death. A mysterious voice beckons Narimiya Wataru, a lonely sixth grader, luring him into the mountains outside his rural Japanese village. There, Wataru meets a strange new friend, "Peke," a bizarrely cute creature with cross stitches over its mouth. Wataru soon learns that there is a hidden world of monsters that partner with young children, and together, they enter horrifying death matches. Watch what really happens when kids with no conscience get hold of cuddly little killers to do their bidding. Yoshihiko Inui is a Japanese manga-ka best known as the creator of Tomodachi x Monster.